The couple now call themselves full-time cruisers with no real home port. “ ‘Where are you from?’ has gotten interesting when the answer is now, ‘That boat at the end of that dock there,’ ” Ehrler says. The couple, of course, know the boat well now, but their knowledge of the brand goes back to when they ran across a description of Great Harbour trawlers years ago. 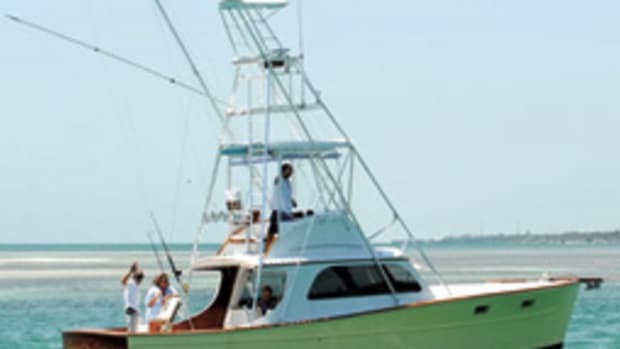 “When we looked into them, they seemed to meet all of our requirements for the boat we’d call home,” Ehrler says. 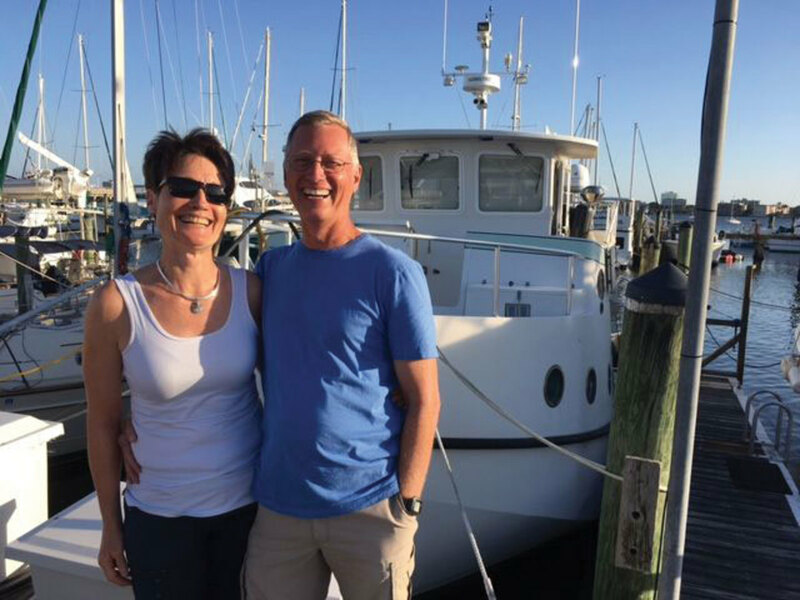 The Crofton, Maryland, couple joined the Great Harbour Trawler Association and attended its annual meeting to find out more. 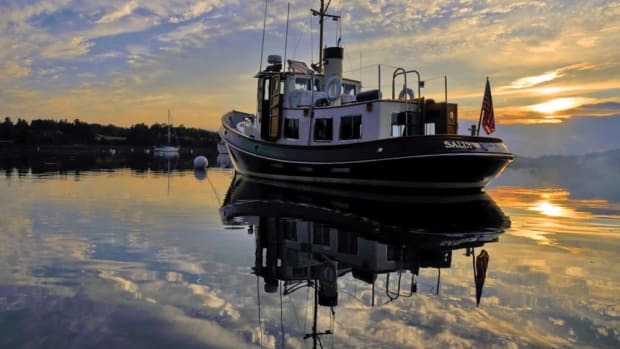 “After Jan and I spent time with the [association] folks and got to see their boats, we quickly decided that we wanted a Great Harbour,” Ehrler says. says. 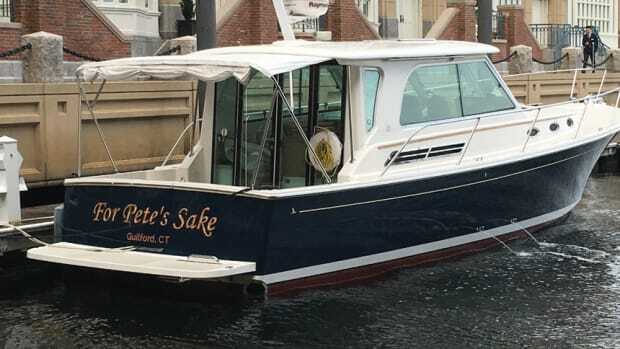 They bought the boat through Great Harbour Yacht & Ship Brokerage, run by Mirage Manufacturing founder Ken Fickett. The price was in the mid-$300,000 range. There was little needed to ready the boat for its new role, Murphy says. 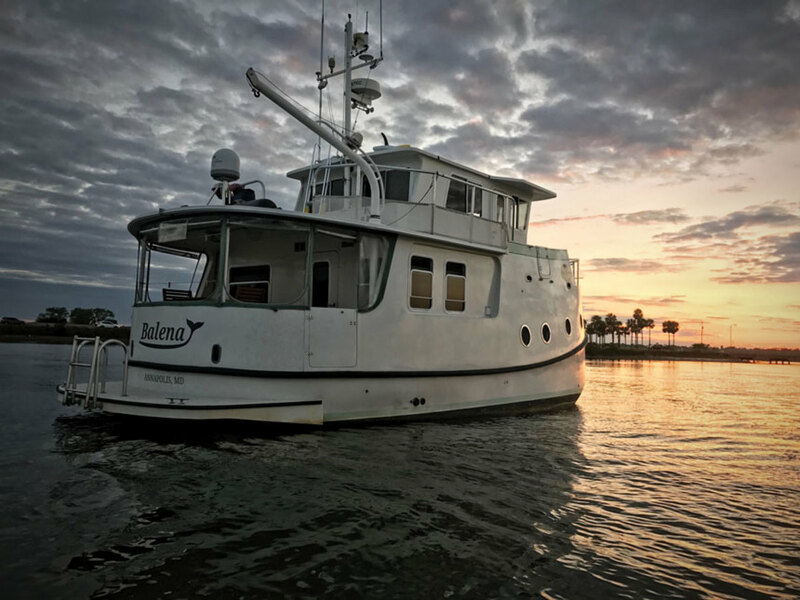 “We updated the interior to make it feel more homey to us, refinished the teak-and-holly floors, put up new blinds, had the couches in the saloon and pilothouse re-covered and added some personal touches,” she says. The couple also added solar panels, replaced a water heater and added a rail to the transom above the swim platform. 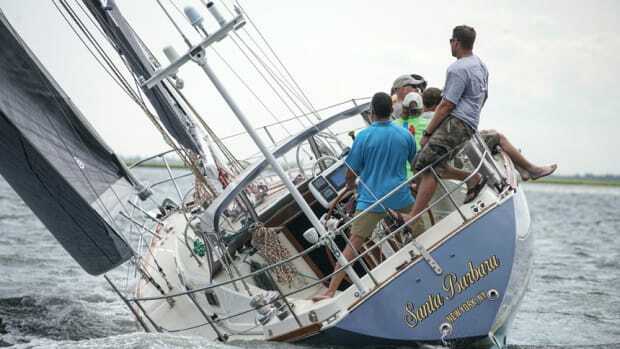 Six months later, they pulled into Annapolis at the end of their first run up the Intracoastal Waterway from Florida. “It was hard to believe that we’d done that,” Ehrler says. 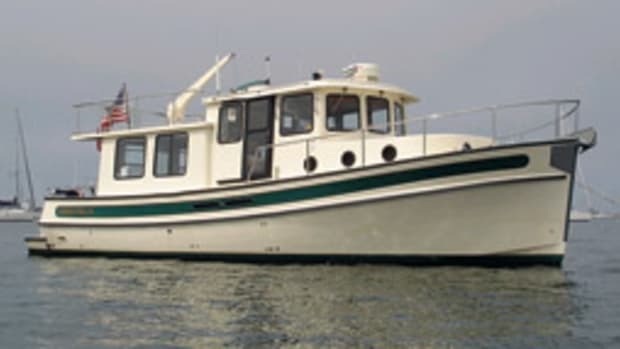 The Great Harbour 37 is powered with a pair of 54-hp Yanmar diesels. Cruising speed is 7 knots at 2,100 rpm, and fuel burn is a stingy 2 gph for both engines. “That gives us a range of around 2,000 nautical miles,” Ehrler says. Electronics include radar, a depth sounder and AIS, plus a Raymarine autopilot, Icom HF and VHF radios, and a KVH satellite system. The couple uses PolarView navigation software on their MacBook computers, plus apps for tides, wind and anchoring on their iPhones. Two floor plans are available: one with the galley to starboard and a guest stateroom/study with a desk and berth to port, the other with the galley to port and a guest stateroom opposite, equipped with its own head and shower. In both layouts, the owner’s stateroom is forward, with an island berth and adjacent head compartment with a shower. The saloon, taking advantage of the boat’s 15-foot, 10-inch beam, has room for two seating areas with an L-shaped lounge/settee and swivel chairs. The hull has a solid fiberglass bottom with synthetic cored topsides providing flotation. Power comes from twin diesels of 50 to 60 hp, delivering 7- to 8-knot cruising speeds. Mirage Manufacturing is a family-owned company in Gainesville, Florida. 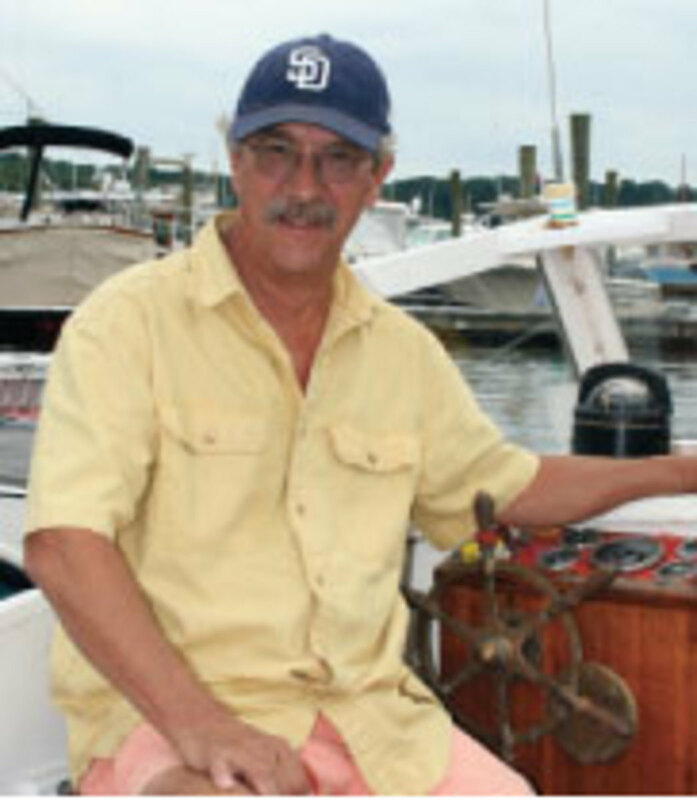 Led by Ken Fickett, it builds Great Harbour trawlers and Mirage sportfishing boats. 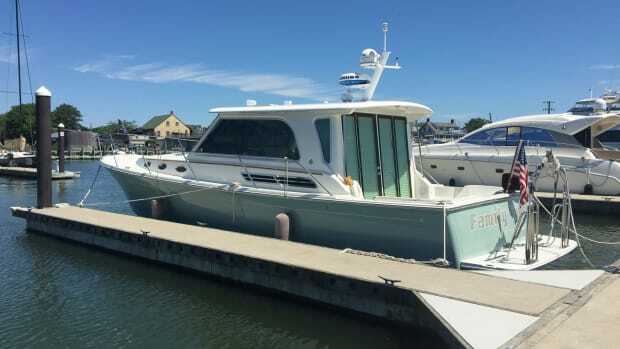 The Great Harbour 37 made its debut in 1996 — the “original inspiration for the Great Harbour lifestyle,” as the company puts it — and remains in production. The Great Harbour fleet now includes models up to 74 feet. The latest entry is the TT 35, designed for the Great Loop and similar voyaging. 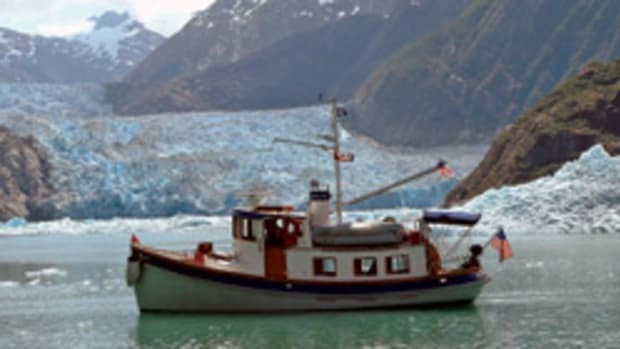 Roberto Labrador was looking for a sailboat to carry him around the world. He found a capable cruiser, and his dream boat, in a robust Tartan 37. The dream was always there. “For years, I would go past marinas on beautiful summer days, full of boats that no one ever seemed to use,” says Peter Clarke.